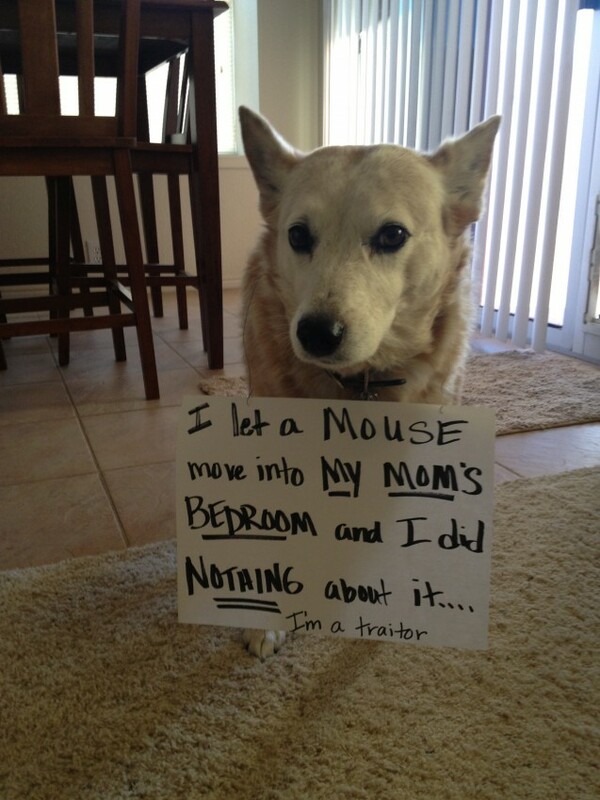 Posted May 14th, 2013 by & filed under Best Friend Betrayal, Submitted. 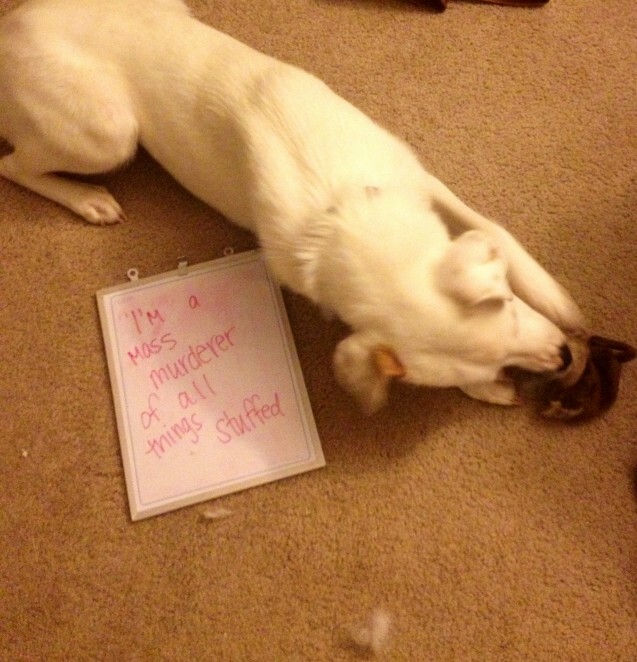 Posted April 5th, 2013 by & filed under Adoptable Fridays, Submitted. 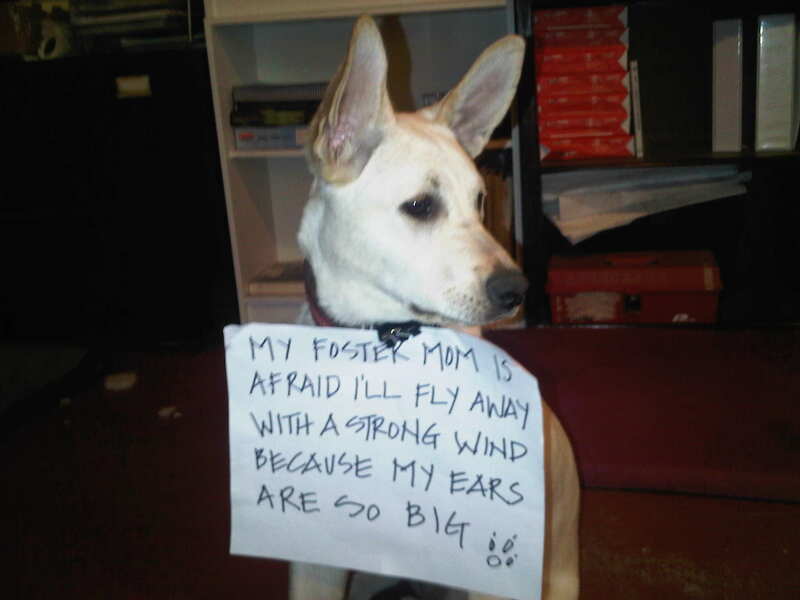 My foster mom is afraid I’ll fly away with a strong wind because my ears are so big! She also says that this is the best pic she could get after multiple attempts because i”m only 5 months old and full of beans. My name is Brandy and I am a shepherd mix and I’m being fostered through The Dog Rescuers Inc. in Oakville, Ontario. I am looking for a home where I can be loved and feel safe and secure. I would love to take positive reinforcement training classes so I can learn new things. I play really nicely with the two other dogs in the house. I LOVE cats too! Brandy is a wonderful pup. She loves to play indoors and out and settles in nicely for quiet time. She loves being a shadow to people. Posted March 25th, 2013 by & filed under Renovation and Redecoration, Submitted. I am a mass murderer of all things stuffed. This is Charli, she is a white Shepard mix who has a compulsion to rip apart every stuffed animal and slowly pull out all of the stuffing, all over the apt. Posted January 9th, 2013 by & filed under Renovation and Redecoration, Submitted. Don’t be fooled by our 3 month old Butters’ cuteness. He’s always the instigator of anarchy in our house. 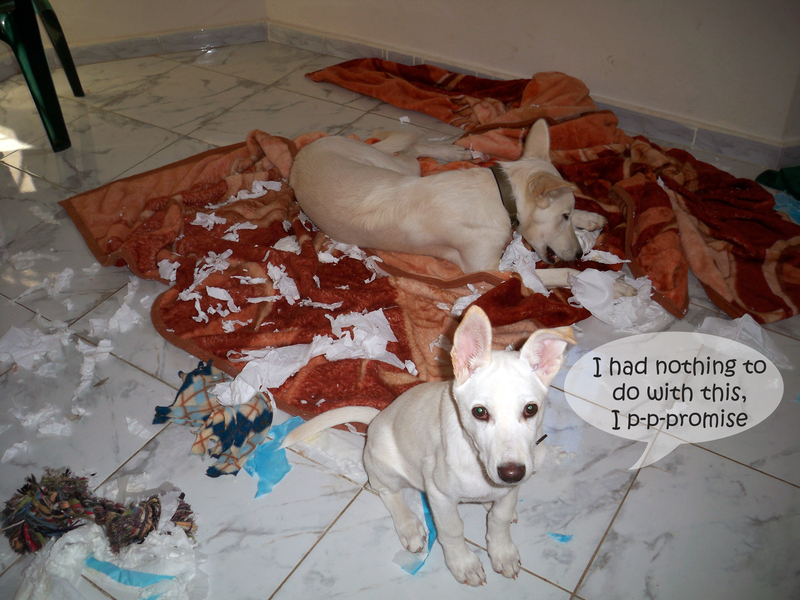 Bane, our 9 month white shepherd just follows the lead and takes it too far. Posted November 26th, 2012 by & filed under Renovation and Redecoration, Submitted. 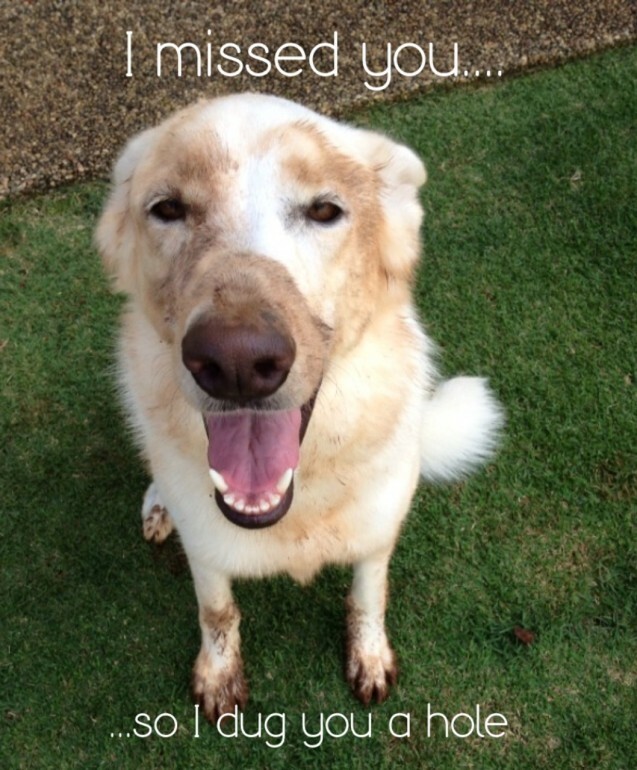 I missed you…..so I dug you a hole…. Isis, The (Not So White) White Shepherd.